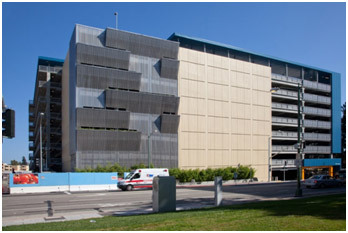 To provide parking to Kaiser Permanentes new facilities near downtown Oakland a new parking structure was needed. 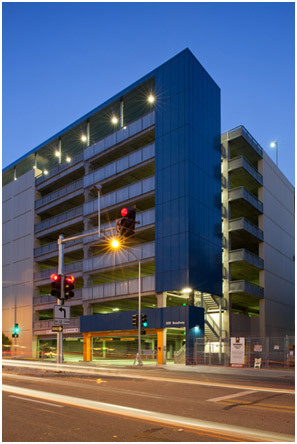 This 1,220 stall structure has 10-levels, of which two are below grade, was constructed using a precast hybrid structural frame of precast columns, beams and girders and cast in place decks and shearwalls. 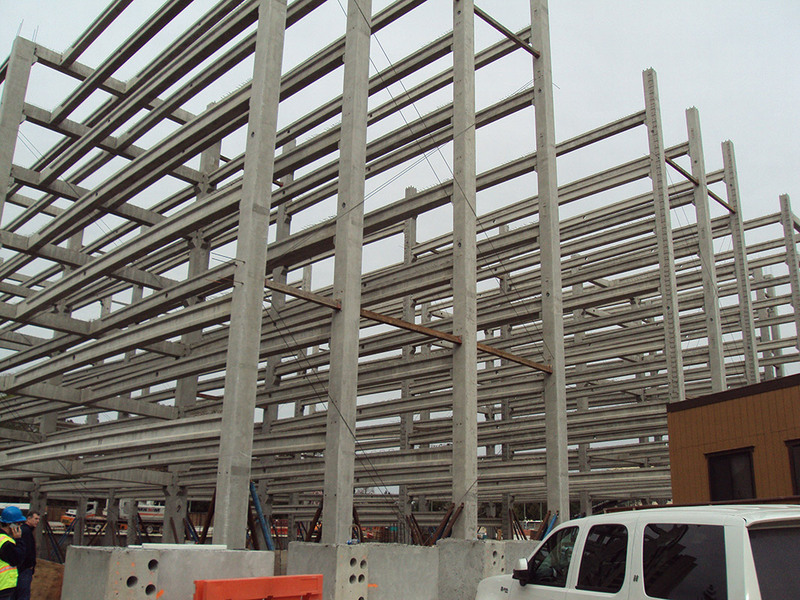 Con-Fab California Corporation pretensioined the precast columns for handling as they were a single piece and up to 110ft long. The columns were successfully trucked to the jobsite through downtown Oakland. 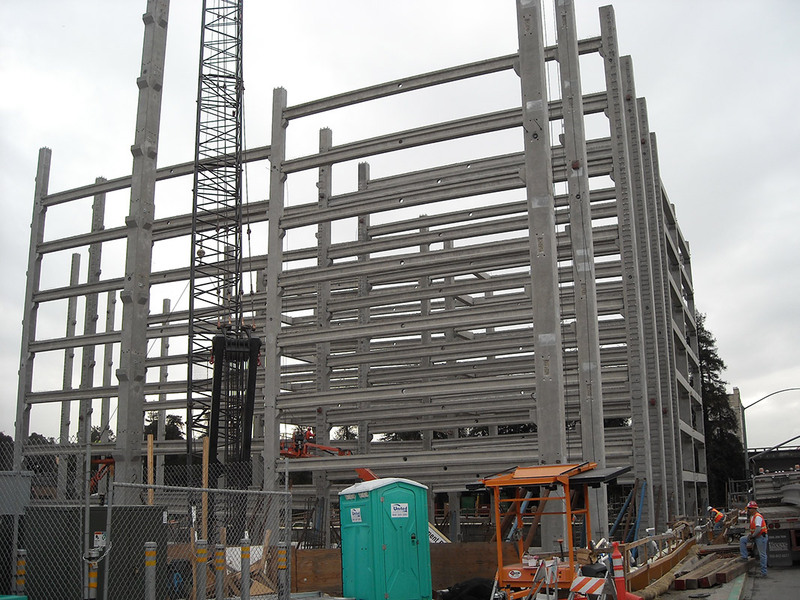 To reduce the height of the building and minimize the ramp slope, the structural depth of post-tensioned deck and beam was 30” with a typical 18ft bay spacing. 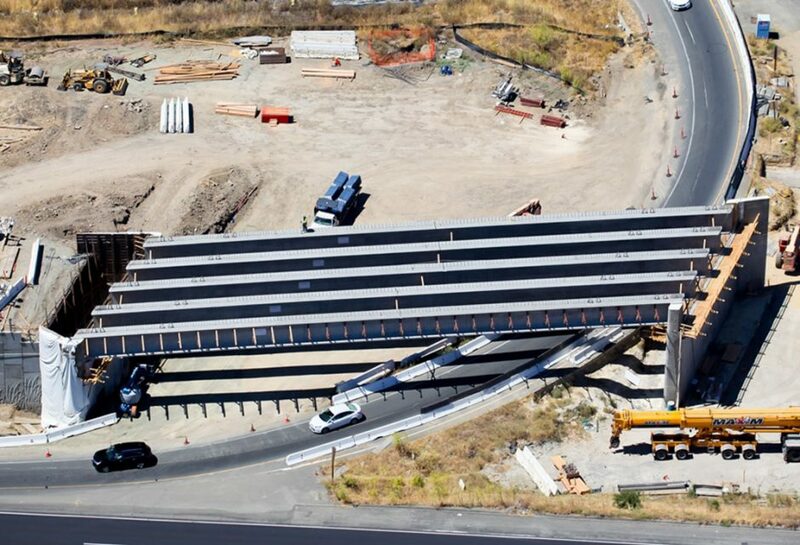 Con-Fab developed a unique cost effective I-beam spanning 60ft that was able to achieve this constraint and save several feet of shearwall and cladding. 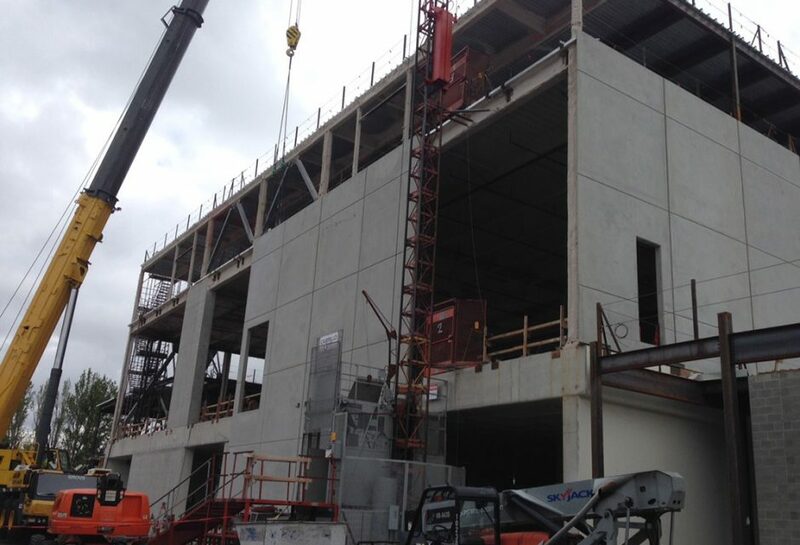 The basement excavation and massive 7,000 yd³ mat foundation, poured in a single operation, was constructed at the same time as the precast was fabricated off site thereby saving significant construction time. 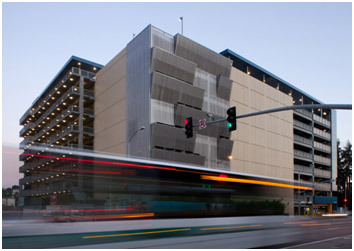 This design and build contract is another example of the speed and structural advantages that precast can bring to projects. 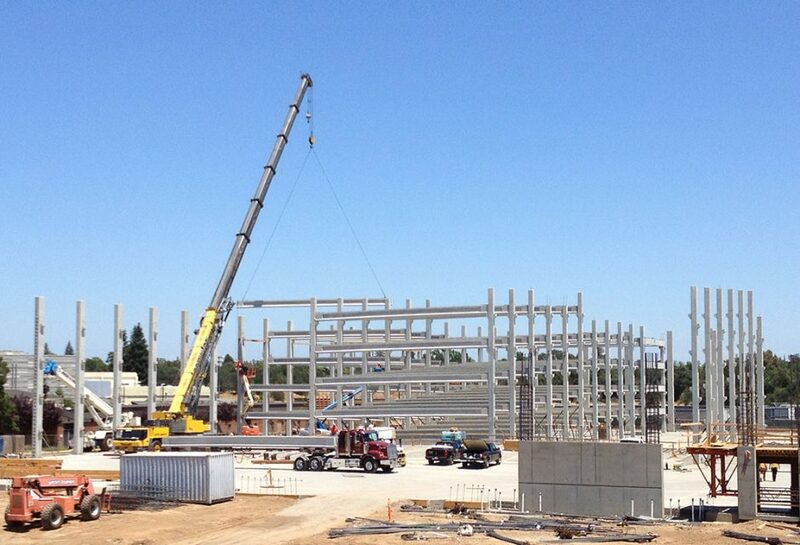 Con-Fab California, LLC is a manufacturer of structural precast, prestressed concrete located in Lathrop, California.